If your New Year’s Resolution is to lose weight, please stand up! It has been mine for at least the last decade, and I can’t remember how long I have been paying for my gym membership. You would think I have an amazing shape, rocking chiseled abs and buns of steel. Regardless, the start of the month promises many things as does the start of the New Year. This 2016 began with countless discounts on innovative fitness centers, boot camps, meal plans (that actually work, so they say), and transformations in 30 days or less. There is one thing I want to sell you on, except I can’t because it’s free! So I will just tell you about it. My favorite memory from high school was being part of the track team. There was actually a coach out there that let me join their team—basketball had not worked out too well before that. I loved the feeling that I was part of something greater than myself, practicing with the team, staying after school, getting dressed up for track meets… I think I especially liked the part that little coordination was required. Running was more of an individual sport. It was a get up and go kind of deal. I was probably the slowest one on the team (no wait, I was the slowest! ), but it was a start. What began as a means to becoming well-rounded for a college scholarship—insert sporty hobby here—turned into a life practice that continues to push both my physical and mental limitations. That was then and this is now. Fast forward 10—yes, I’m approaching my 10-year high school reunion—and running is still part of my life. In fact, people are making running part of their lives more each and every day. There is a special place in Coral Gables where runners new and runners old get together every week—for free (see I told you) to run, walk, or crawl if they have to. 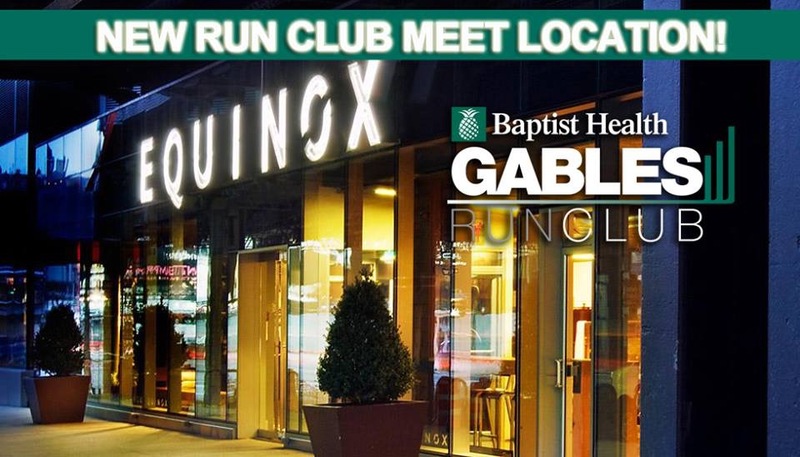 The group is called Gables Run Club and they meet every Thursday at 7 PM right in the Village of Merrick Park. The beauty of it is that they break up into three groups based on your pace, so no one is left behind. Beginners and speeders alike can get together for one cause—to Run Miami! 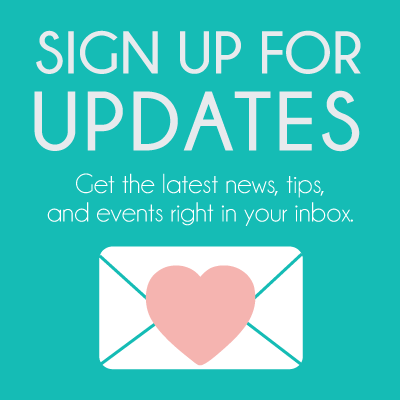 Save your gym membership and join your city in a fun run this week instead! Who knows, you might actually like it, and there’s nothing to lose (except a few pounds, which is what you wanted to begin with, right?). Gables Run Club is ready for you and they’re starting this week on January 7th. I will be there and I hope you can make it as well. A few things to note: parking is (also) free, validated at the Equinox where we all meet, so you can park right in the garage with no hassle. Comfortable and light clothing is recommended—it is Miami after all. Try to arrive about 5-10 minutes early just to sign some waivers (it’s the law), and then you’re set! The route is usually around 3 miles, but if you are just starting out then I say take one mile at a time; walk if you need to. This is your start! Remember it is not a race, it is your pace and you set the mark! Cuban with a flare for foodie finds. Follow my food discoveries on Instagram! I would like to practice this habit. But I don’t know to run. My husband runs every mornings and gos to work feeling very well… nice article! There are some free running clinics in Miami, but there’s no better way to start than to just move your feet faster! Check out Sole Runners store in Kendall; they helped me pick out a good running shoe! I’m a confessed gym rat, I’d love to run, but always seem to hurt myself. I’m envious of runners, aside from a good pair of sneakers, it’s free and you can do it at any time or place… Maybe joining a gropu could be the key to ‘learn’ how to run and not be sidelined for weeks after. Hi Yined! You should definitely consider joining a group. It’s good to just pace yourself so you don’t get hurt again. Thank you! Looking forward to running Gables in 2016! Hmm I wonder if there is one of these up by me in Hollywood?!?! What a great way to start a healthy habit! Hi Lucy! The Run Club also meets in Weston on Wednesdays by the Bell Tower at Weston Town Center. Not sure how close that is to you, but you can check out their Facebook page for more details. I didn’t know about this run club in the neighborhood! I can’t wait to join :) Great write-up! What a great way to ring in the new year! I heard it’s bad for the knees so I don’t do it. I have problems with my needs already and wouldn’t want to agravate more. But I would love to start running if the joints didn’t get affected. © 2019 Coral Gables Love, Inc. All rights reserved.